OLIN has completed a renovation of the gardens at Philadelphia’s Rodin Museum, which houses the largest collection of Auguste Rodin’s sculptures and objects outside of Paris. 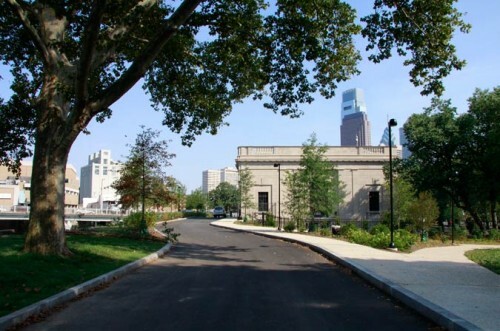 The renovation is a piece of a larger refurbishment of Benjamin Franklin Parkway, which is also being overseen by OLIN, as a part of the Philadelphia Museum of Art’s Master Plan. The garden is set along the Benjamin Franklin Parkway. 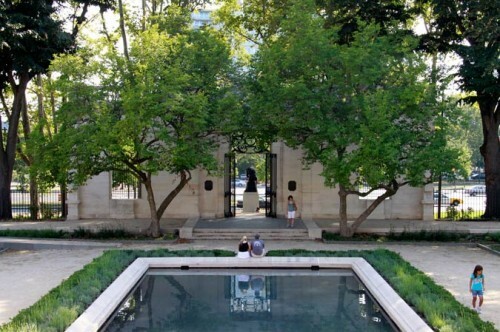 The renovation restores the symmetry of the gardens, originally designed by architects Paul Cret and Jacques Gréber. 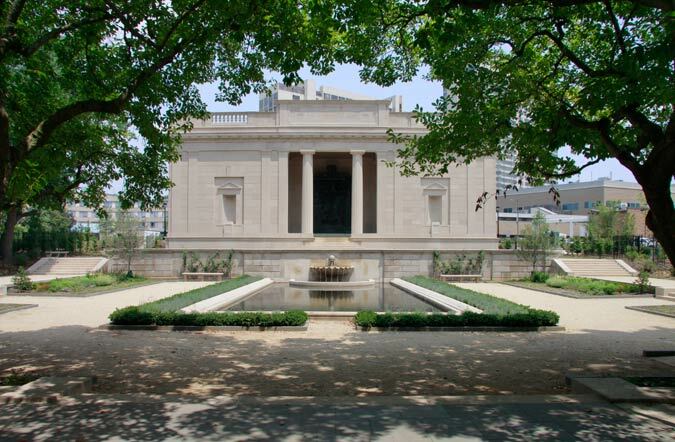 The Robin space is a formal French garden within the more picturesque landscape of the Parkway. The landscape architects edited the plantings to increase the visual connection to the Parkway and added plants that would emphasize the “seasonality” of the garden, according to a statement from the firm. OLIN is also adding new outdoor furniture and lighting. 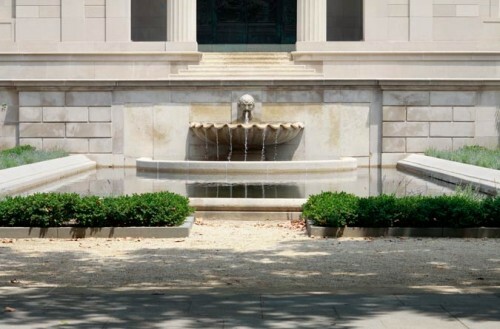 Sculpture will be returned to the garden and the exterior of the building, including Eve and The Age of Bronze, which will be placed in niches on the facade. Adam and The Shade will also be placed in the garden, joining The Thinker, which currently sits at just beyond the gates at the Parkway entrance. The formal garden in inspired by French precedents. Sculptures by Rodin will return to the niches. The fountain is the centerpiece of the garden.